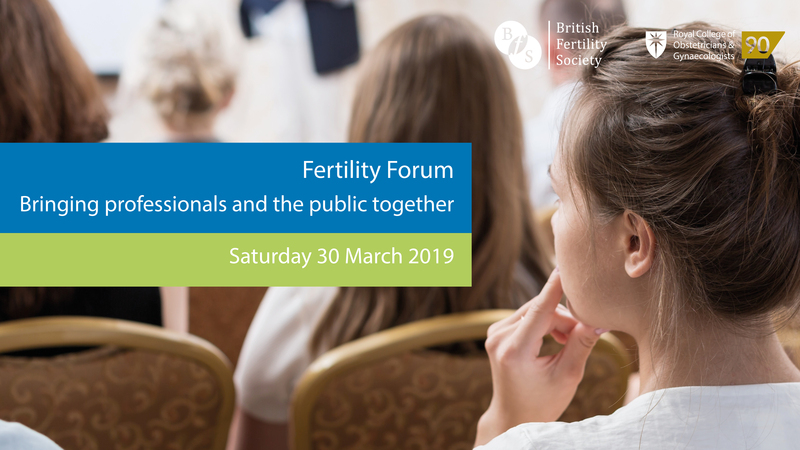 If you’ve ever wanted access to clear, reliable information about fertility problems and treatment, the Fertility Forum on 30 March is for you. Set up by patients working with all the professional bodies in the field, the Fertility Forum aims to be a day of pure evidence about fertility with no promotion for particular clinics or treatments, and no one selling anything. It’s all about evidence. The Fertility Forum will take place at the Royal College of Obstetricians and Gynaecologists (RCOG) in London, and many of the UK’s leading fertility specialists will be speaking at the day, and there will be three strands of talks. They will cover everything from nutrition and lifestyle advice to the latest developments in fertility treatment. There will be talks on specific fertility issues such as endometriosis and polycystic ovary syndrome (PCOS), on donor treatments and surrogacy, on recurrent miscarriage, on stress and fertility support, on male fertility problems and how men deal with infertility. The HFEA will give advice on how to choose a fertility clinic and there will be a talk on deciding whether to opt for treatment abroad. How embryos develop and why IVF does and doesn’t work will also be discussed along with an assessment of the evidence on additional treatments like endometrial scratch or embryo glue, and there will be a session on accessing NHS funding. You will be able to choose which talks you attend when you get your tickets. There is a charge for the tickets (£25) to cover the cost of putting on the day, but there are no additional charges. The day has been organised by the Royal College of Obstetricians and Gynaecologists (RCOG) and the British Fertility Society working in partnership with the Human Fertilisation and Embryology Authority (HFEA) and Fertility Network UK alongside the Association of British Andrologists, British Andrology Society, Association of Clinical Embryologists, British Infertility Counselling Association, Royal College of Nursing and the Senior Infertility Nurses Group. The Donor Conception Network will be taking part in the event along with other patient groups including the Miscarriage Association. The day will be opened by the RCOG President, Professor Lesley Regan, and the Chair of the HFEA, Sally Cheshire CBE.